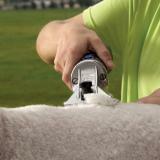 For slick shearing club lambs. 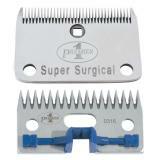 Has a cutting depth of 0.02". Cuts even closer than Surgical blades—but the number of "resharpenings" is reduced. 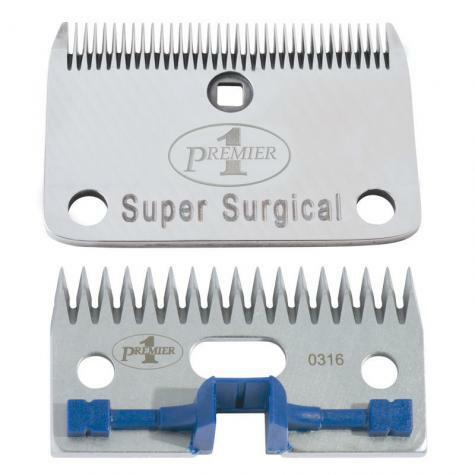 Premier's Clippers: 1000c, 3000c and 4000c. 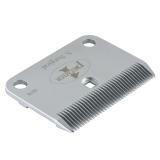 Also fits Lister® clippers: Star, Stablemate®, Laser, Showman, Liberty, Legend. 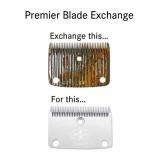 Use caution when using these blades! They cut very close to the skin and it is possible to cut the skin if not used carefully. Perfect! Exceeded expectations in quality and value. My girls looked as good as any in the show ring and won Grand and Reserve to boot. Blades clipped evenly and left just the right amount of cover; hide stayed tight and suffered no nicks or skinned places. I couldn't recommend these enough. Engraving came out nice too! And they were certainly priced right.